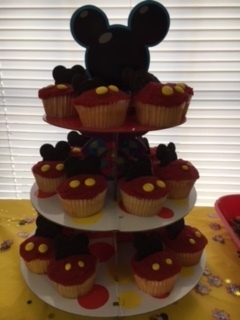 Larynn Ford: Happy Birthday Mickey Mouse! Happy birthday to one of my favorite mice . . . M-I-C-K-E-Y M-O-U-S-E! Admit it. You sang those letters, didn't you? Who wouldn't? Mickey has brought us all such joy over the years. We have two grandsons born in August who turned one and four this year. We decided to celebrate the birthdays together. Mickey joined in the fun and helped us out. Look at those yummy cupcakes! Now, it's Mickey's day. 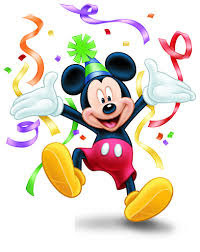 Happy birthday, Mickey Mouse! Let's celebrate!